Extreme focus…on bird or squirrel? We would prefer the cats out of our yard because my son and husband are allergic (our son even more so–hives from fur, dander, saliva), plus the darn things like to use any bare area/spot in the lawn as their own kitty litter box, especially the areas right next to our house. Ugh. Curse this sandy soil in Florida!! Lying in wait for birds. Yup, that’s right. 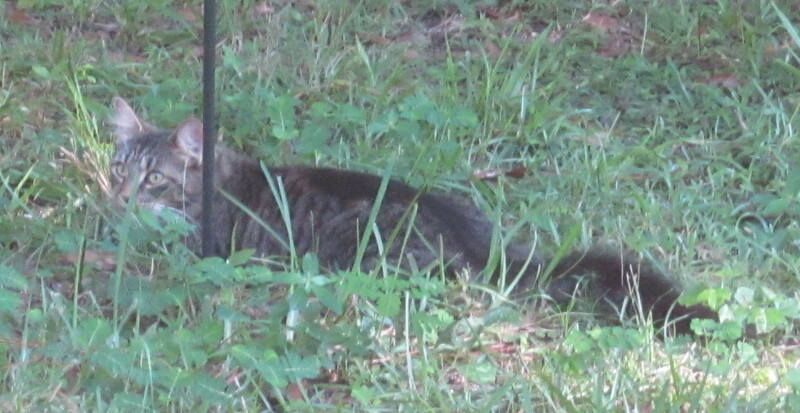 He was lying in wait for birds under our “new” homemade bird feeder stand. By the time we got the camera, he shifted his focus onto us. By the way, my husband made that steel baffle because the squirrels were climbing up the metal pole (it’s one used for plants) and jumping onto the bird feeders! 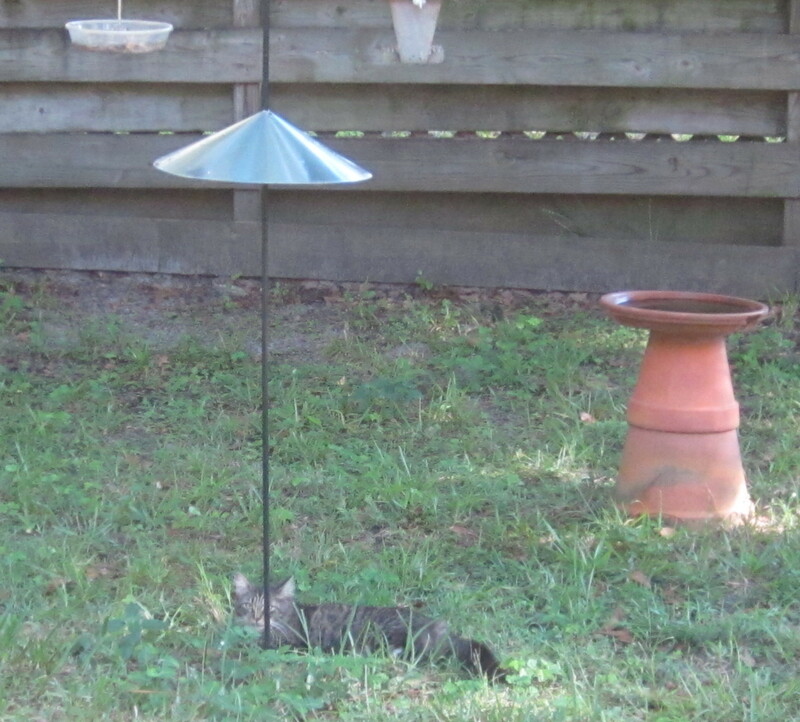 This cat isn’t interested in the bird seed. He wants to jump up and catch any one of the many bluejays, doves, wrens, and cardinals that visit our bird feeders. Little stinker! Do you have any unexpected visitors to your backyard?